Preventative maintenance to your HVAC system is important to prevent repairs to your furnace or air conditioning system. Scheduled preventative maintenance will allow your system or unit to perform safely and effectively – as well as efficiently. An efficient system can even help you save a good deal of money in the long run. It’s also important to run HVAC maintenance to your heat pump, furnace or geothermal unit before winter strikes, so you’re not stuck out in the cold. A malfunctioning heater would not only leave you freezing, but it can freeze the pipes in your home and could cause them to burst under the cold pressure. Steve’s Heating and Cooling can help you maintain and repair your HVAC systems. Loud wheezing or wailing noise coming from the system or unit – this can indicate a dislodged fan belt, or another loose or broken part. Frozen coil(s) – if you forgot to change your filter, this will probably happen. **If your problem isn’t listed, call us anyway! We have licensed and trained experts who can fix and diagnose your problems. Examine and clean your ventilation system or have an HVAC expert do it for you. The more dust that has collected in the vents, the more you’re going to pay to heat and cool your home or apartment. It takes longer to push air through clogged vents. Invest in energy-efficient devices. A few examples include smaller devices that don’t use as much power, energy-saving light bulbs, and Energy Star certified appliances and machines. Don’t use ceiling floodlights. Replace these with the energy-saving light bulbs. Change your energy supplier to a fixed rate supplier. After finding out the rate that your provider offers, check competitors’ prices in the area. Take note that a provider can be different from a supplier. Switch off and unplug everything when they’re not in use. 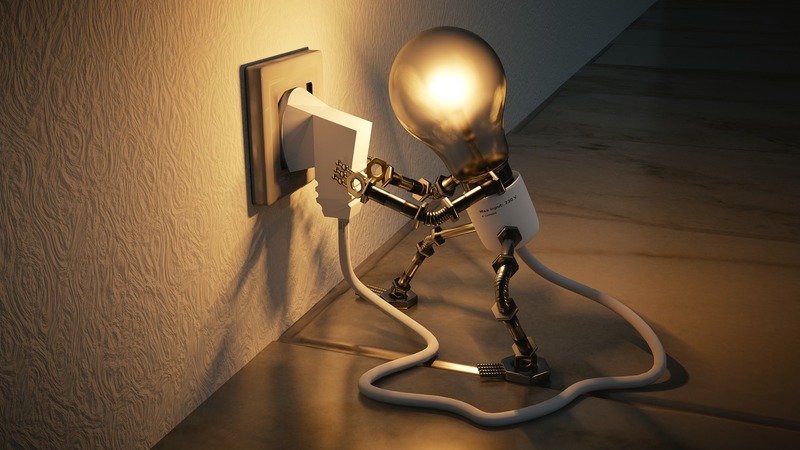 Meaning, appliances and fixtures that are plugged in still use power even if they’re turned off. Move big energy consuming devices away from direct sunlight and into the cold. For example, cooling devices (such as the air conditioner) need to be placed away from heating devices, and vice versa. Keep the door to refrigerators, freezers, etc. closed when not using them. Keep cooling and heating devices at least two inches away from the wall so air can circulate properly. Increase the inside temperature of freezers and refrigerators. Check the sealing gasket or have an expert do it for you. If damaged, it will need to be replaced. It’ll save on energy consumption in the long run. Defrost the freezer if there’s ice along the edges. Dry clothes on a clothesline instead of a dryer. Put your PC on energy-saving mode. Some other tips include being smart about how much energy you’re using. If you’re comfortable with the current temperature, turn the heat or air conditioning off. Well much to all of our surprise Thanksgiving is right around the corner. I can remember growing up and right before we would pray over our food we would announce to all of our family what we are thankful for. I’m sure you could guess what was said, “I’m thankful for my family”, “I’m thankful for food”, “I’m thankful for my friends”, “I’m thankful for my FURNACE! !” O.K. I admit I made that last one up! Let’s think about it for a minute, we have a hero of the home that never gets acknowledged, yep your FURNACE. If you live in the Northern Kentucky greater Cincinnati area your furnace is working real hard to keep you home as comfortable as possible. Here at Steve’s we specialize in Northern Kentucky furnace installation and furnace repair and we have been doing that since 1975. We offer top notch furnace repair of all major brands and also specialize in furnace replacement. This holiday season give your furnace some thanks and show it some love by calling Steve’s for a furnace maintenance. Learn more on our site. God bless and Happy Thanksgiving from all of us at Steve’s!